Destiny 2: Forsaken is thoroughly live, and many of you are likely tearing it up in the Reef as I type this out. Since you may be doing that, you might be interested to know that Bungie has launched a new initiative to reward you for your efforts. It’s literally called Bungie Rewards, and it’s a cool way for fans to get real-world stuff for meeting certain goals in-game. It starts with a gift just for completing the Forsaken campaign, with a free, digital download of the Destiny 2: Forsaken Original Soundtrack. This is a special version of the soundtrack, which not only contains the normal tracklist, but an additional bonus of two tracks from the Whisper of the Worm quest that is only available through Bungie Rewards. In order to be eligible for the program, you’ll need to opt in at the Bungie Rewards official website and verify your email address. You have to hurry though. This first offer is only available through September 30, 2018. Win Glory-ranked matches while at rank “Legend” in Season 4. Complete all Dreaming City Triumphs. Complete all lifetime Valor and Glory rank triumphs. The rewards for those are as-yet unannounced. Bungie promises that they will be “collector’s items” to earn. This isn’t the first time the developer has offered limited edition Destiny gear as a reward for in-game accomplishments. There have been three Moments of Triumph events that let players purchase a personalized collector’s t-shirt if they met certain criteria for each year of Destiny. 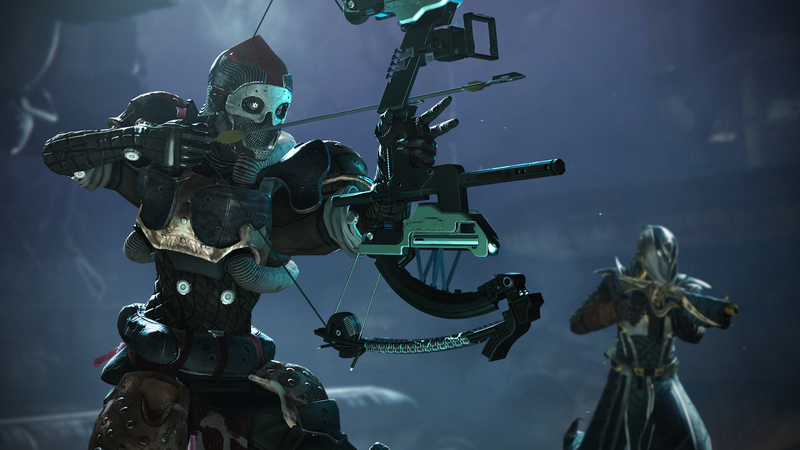 Destiny has always been about more than just the game. There’s a special community and culture that has been built around Destiny, and those conversations and moments that can happen even when the game is off are just as important to the players as any in-game accomplishments. Bridging the gap between the two provides an opportunity for players to celebrate their love of Destiny. Do you plan on participating int he Bungie Rewards program? What do you think they’ll be giving away for completing those future tasks? Let us know your thoughts in the comments below.